Singapore Airlines is having a last-minute sale and it’s definitely worth a look. From now until March 31, 2018, you can fly from the United States to many destinations in Asia for as low as $499. Los Angeles to Tokyo is $499 and Chicago to Singapore is $599. Premium Economy is on sale also with prices as low as $1,275 from New York to Frankfurt and lastly, Business class is on sale with roundtrip airfare from New York to Frankfurt for $2,505! These are great prices so if you want to jump on this deal, you need to book your tickets by 11:59 PM tonight (November 3, 2017). These prices are for roundtrip travel and are inclusive of all taxes, fees and carrier-imposed surcharges. Here are some important details. Sale period is valid until tonight at 11:59 PM! Travel period for Tokyo and Hong Kong is from November 7, 2017 to December 6, 2017 and January 11, 2018 to March 31, 2018. Travel period for Bangkok and Ho Chi Minh City is from January 16, 2018 to March 31, 2018. Travel period for all others is from November 7, 2017 to March 31, 2018. All travel must be completed by April 30, 2018. No minimum stay is required. Maximum stay applies per destination. Business Class tickets book into D fare class. With Singapore Airlines KrisFlyer, D fare class tickets will earn 125% mileage. With United Airlines MileagePlus, D fare class will earn 100% mileage. With Turkish Airlines Miles and Smiles, D fare class will earn 150% mileage. With Alaska Airlines Mileage Plan, D fare class will earn 200% mileage. D fare class tickets are upgradable to first class with miles. These are great prices for travel but unfortunately, are horrible for mileage earning if booked in economy class. Premium economy fares will earn exponentially more miles and will be a much better flying experience but will also cost you more than double the price. 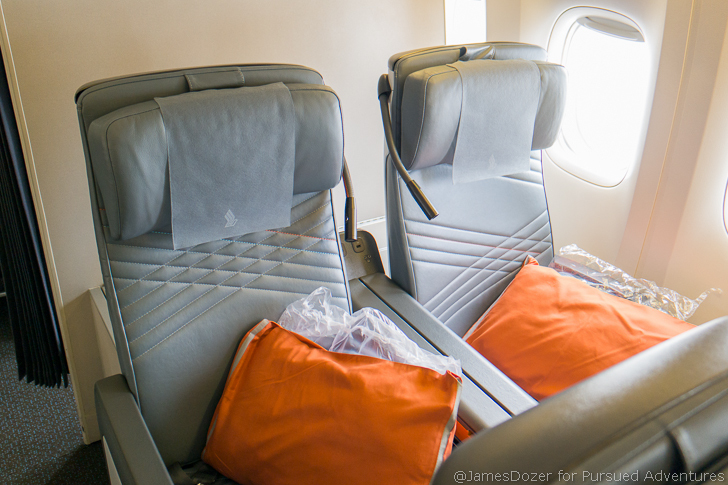 Going from premium economy to business will not earn you that much more mileage when credited to Singapore Airlines KrisFlyer but will earn you 200% of mileage flown if credited to their newest partner, Alaska Airlines Mileage Plan. Overall, these prices are pretty good but will only benefit a small group of people. These deals are only good for passengers departing from one of their United States gateways including Los Angeles, San Francisco, Houston and New York and most destinations will require at least two stops, making for a very long travel day. Additionally, these prices are for travel on Singapore Airlines, SilkAir and certain European partners including Flybe and SAS only. They do not include travel on other partner airlines such as United Airlines. More information about their sale can be found here.